Nancy joined the professional staff of BKHM in 1992. 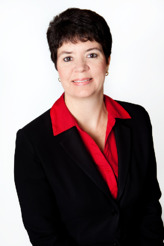 With more than 25 years of public accounting experience, she has provided accounting and consulting services to some of Central Florida’s most well-known and established organizations. Nancy specializes in working with nonprofit organizations, charter schools and employee benefit plans, as well as companies in the manufacturing and construction industries. She also has a broad background in audits subject to Government Auditing Standards and the Uniform Guidance requirements. She has been instrumental in the development of the firm’s nonprofit organization audit practice and Peer Review services. A native Floridian from the panhandle, Nancy moved to Orlando to attend the University of Central Florida. She met her husband at UCF, and both are active members of the Golden Knights Club. Nancy is also an active member of the Whispering Oak Windermere High School PTSO and School Advisory Council. In her spare time, Nancy and her husband enjoy attending UCF sporting events and spending time with their two children.